Raising the value of women one man at a time, while pursuing the hearts of men with passion and grace. The Mecklenburg County Domestic Violence Fatality Prevention and Protection Review Team (DVFRT) presented their fourth annual report entitled “Until Death Do Us Part” to the Board of County Commissioners in Mecklenburg County (Charlotte, NC) on Tuesday night. District Court Judge Ron Chapman, who is the current Vice-Chair with the help of Helen Lipman, DVFRT Liaison presented the report at the Board of County Commissioners’ Meeting in the Chamber of the Charlotte-Mecklenburg Government Center. 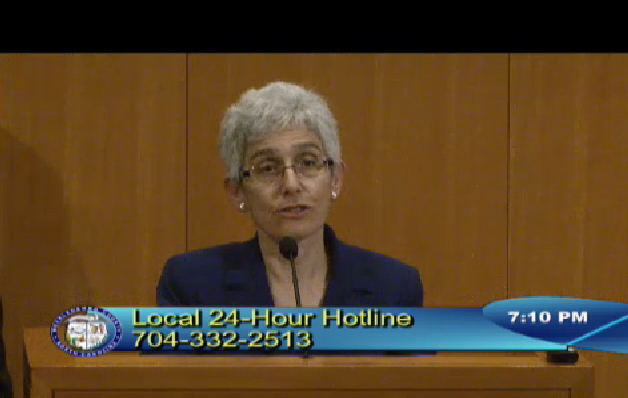 North Carolina legislation created the DVFRT on June 1, 2009 as a pilot project in Mecklenburg County. The legislation provides the needed legal protection to make it easier for agencies to share case information in a full review. The DVFRT has reviewed 16 dv-related homicide cases since that time. 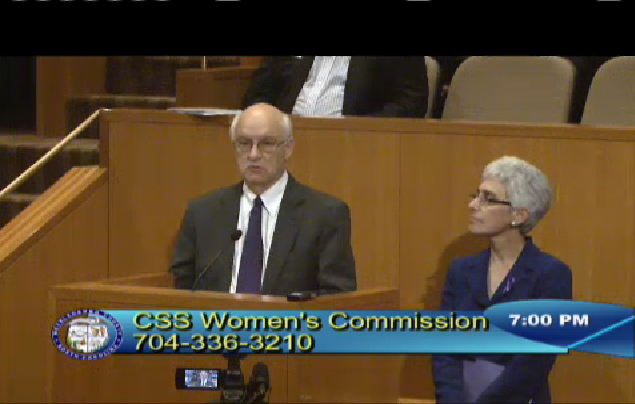 Community Support Services, a Mecklenburg County department that includes the Women’s Commission, is the lead agency for the effort. The DVFRT report has four themes including; access to firearms, behavioral health issues, exposure of children and youth to domestic violence, and systems integration. The report includes a number of recommendations including expanded trainings for police and probation officers, as well as judges, in regards to access to firearms. In 10 of the 16 cases reviewed a firearm was the killers’ weapon of choice. In 7 of those 10 cases the firearms were obtained illegally. The DVFRT, in concert with the DV Community Leadership Team, also recommends that a pilot multi-disciplinary team be developed to actively monitor selected repeat violent DV offenders to reduce repeat incidents. Similar initiatives have shown positive results in other North Carolina communities, including the City of High Point. A number of accomplishments are also noted such as the Supervised Visitation & Safe Exchange Center opening later this year, which was a priority identified by the DV Community Leadership Team for 2014-16. This facility and program will provide a safe environment for victims and children when child custody comes into play in abusive relationships. The entire DVFRT 2014 Report is now available online. For more information on the effects of domestic violence in our community, call the Mecklenburg County Community Support Services Women’s Commission at 704-336-3210 or Safe Alliance’s 24-hour DV Hotline at (704) 332-2513. If you find yourself in an abusive relationship outside of Mecklenburg County, please call the National DV Hotline at 800-799-SAFE (7233). They will help you get connected with a shelter, programs and services in your community. This entry was posted in abuse, domestic violence, prevention, public awareness, Uncategorized by MikeSextonNC. Bookmark the permalink.